If there’s one thing that gives me nightmares, it’s the thought of shopping during the holiday season, and for me, Black Friday shopping at stores is the worst. I tried it once and I doubt I’ll try it again. There is just something so scary to me about grown adults fighting over movies and toys and games at 2 a.m. the day after Thanksgiving. I’m actually quite surprised that there are no documentaries about Black Friday showing on Animal Planet. It’s times like these that I’m thankful for the internet and the wonders of online shopping. 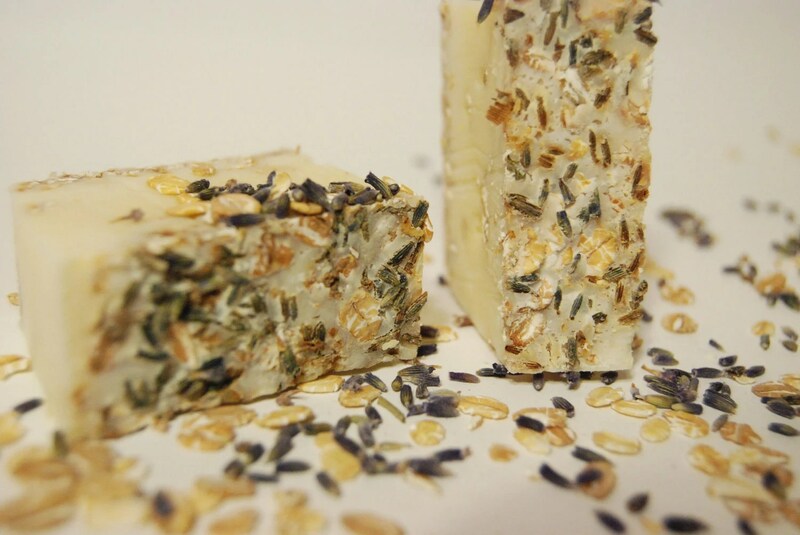 One of the new design projects I just finished is actually very much connected to online shopping. A few months ago, my friend, Heather Jolly and I were sitting in a coffee shop talking about each of our dreams for the future. 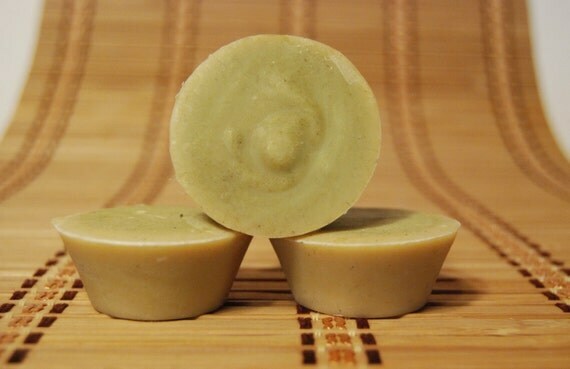 One of hers involved starting a small business where she could sell some all-natural homemade soap that she had learned to make. We got a chance to talk about some of the practical steps needed to make that happen and now, she has her Etsy shop all set up and she’s been successfully building her clientele! 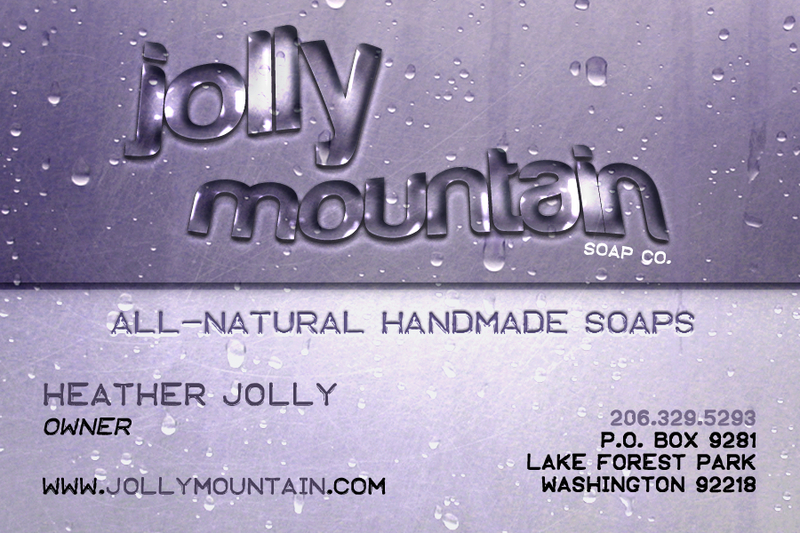 Through our conversations, she decided to hire me to design the brand collateral for this new business adventure. It was such an honor for me to get to design for her! What’s even better is that she’s also given me the opportunity to try some of her amazing products before they even hit the market—and man, do they make my skin happy! I can’t wait until she releases her lotion line! 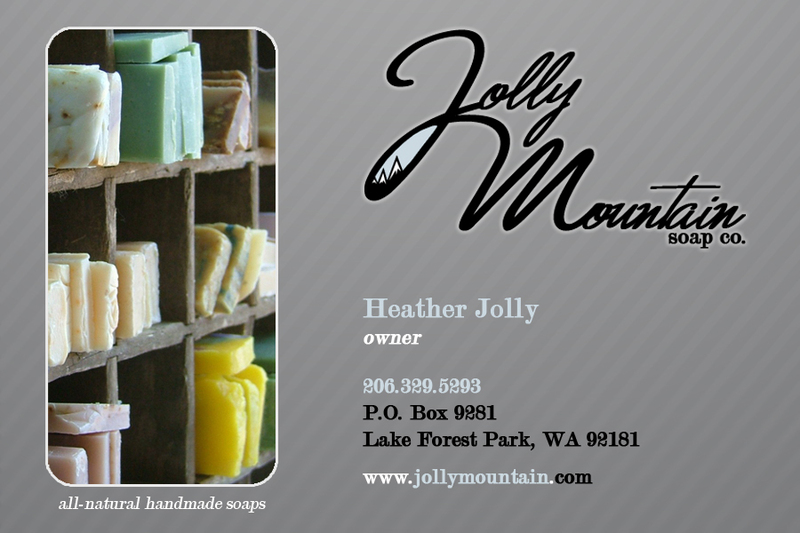 The new look of Jolly Mountain Soap! 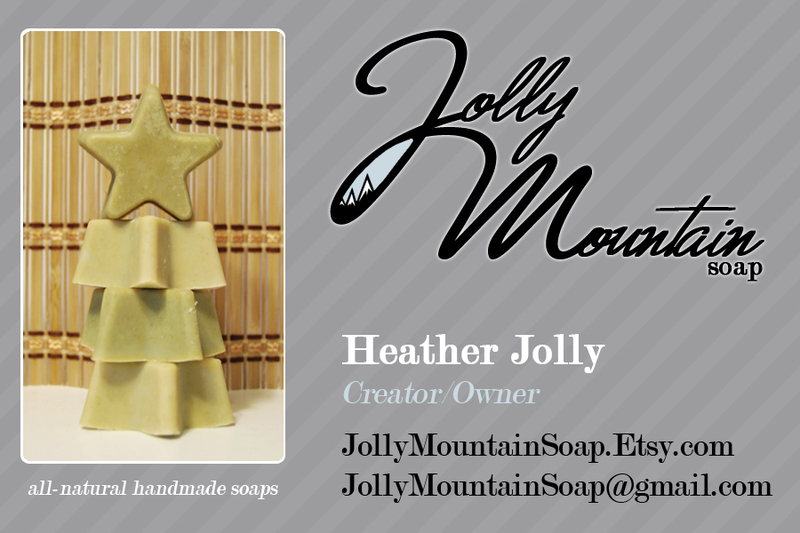 And of course, a fresh Etsy banner! It felt great to make something that she was incredibly proud of! Of course, the many bonus coffee date meetings we had to go over things wasn’t too shabby either. 😉 I love spending time with her and listening as she shares her big dreams and creative thoughts. I’m so lucky to have such a wonderful friend who shares my love for art and creating new things. 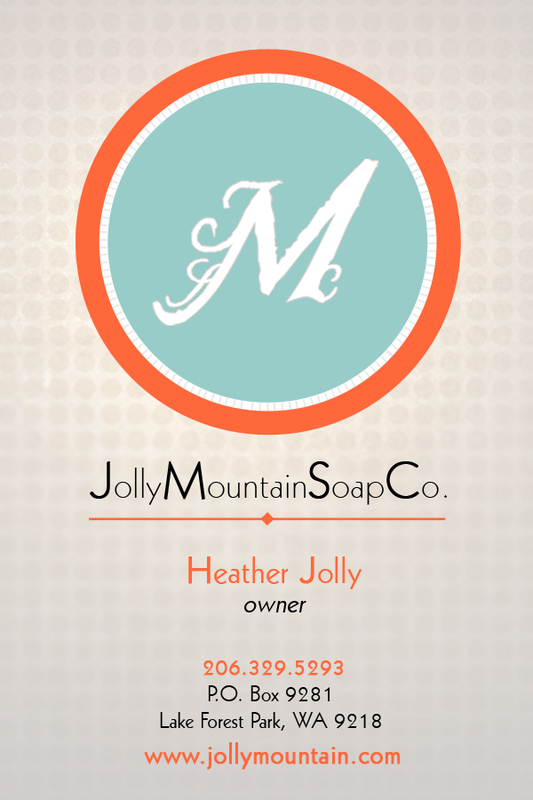 I’m really looking forward to seeing her business take off—the open doors and local consumer demand she’s already accumulated amazes me! 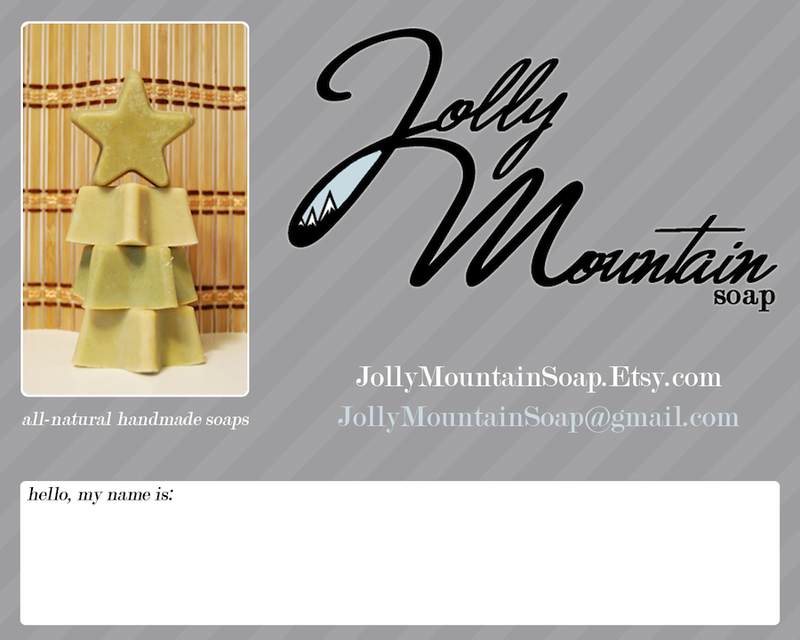 Categories: Design Life, FORWARD, That's Right, I Said It | Tags: all-natural, Branding, Craft, Etsy, Graphic Design, Handmade products, Jolly Mountain Soap, Packaging, Small business, Soap, Urban Teknique, Web elements | Permalink. that dweam wivin a dweam. 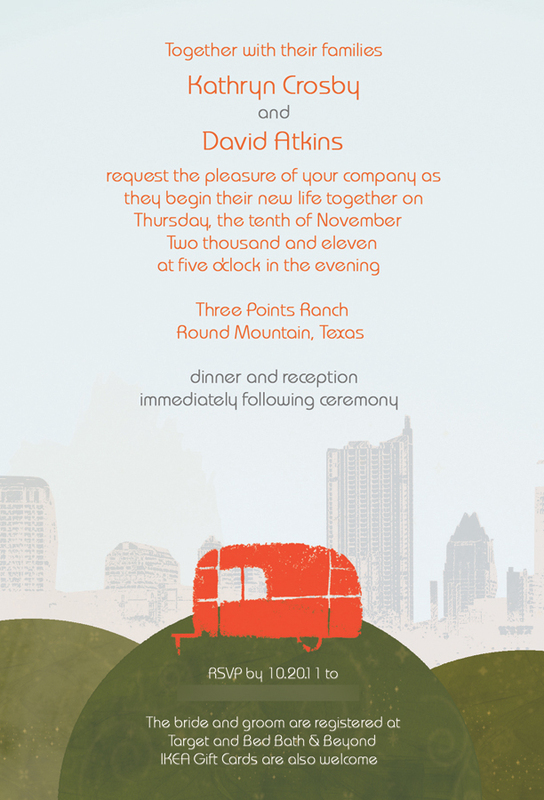 Last Thursday, I had the honor of attending the wedding of two of my wonderful friends—David and Kat. David was one of my media students when I lived in Austin. At the time, Kat was attending MC Remix and came down to Austin to co-host a conference with us. As Kat and David began dating, I got the chance to hang out with them a few times on trips home. I loved being around them. It was non-stop fun, jokes, and adventures. We all share a love for some of the best things: The Little Prince, Toy Joy, coffee, cupcakes, The Office, superheroes/comics, and The Big Bang Theory! When they hired me to design their wedding invitations, I was equal parts excited and nervous. Designing a wedding invitation for a general client is one thing. 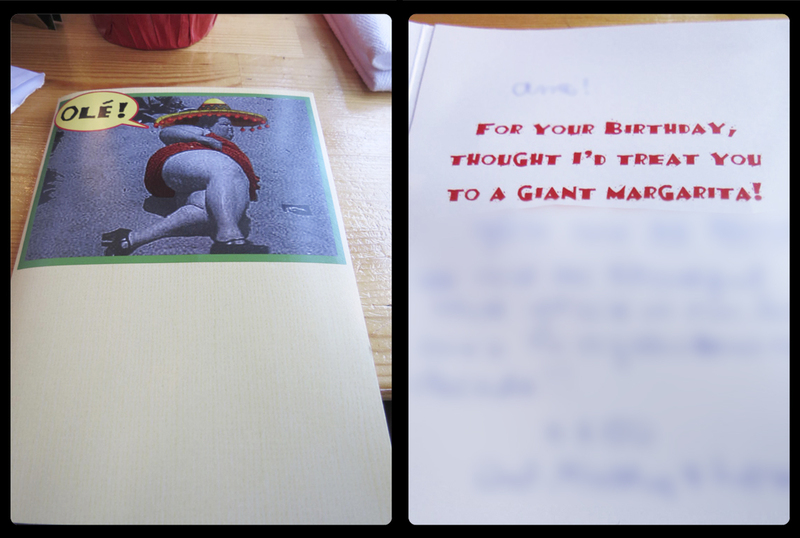 Designing a wedding invitation for a client that happens to be one of your greatest friends? Now that’s another story! I met with Kat and we talked about what general color scheme and elements she wanted included in her invitations. One of her requests was to somehow incorporate a special picture that was hanging on her wall. 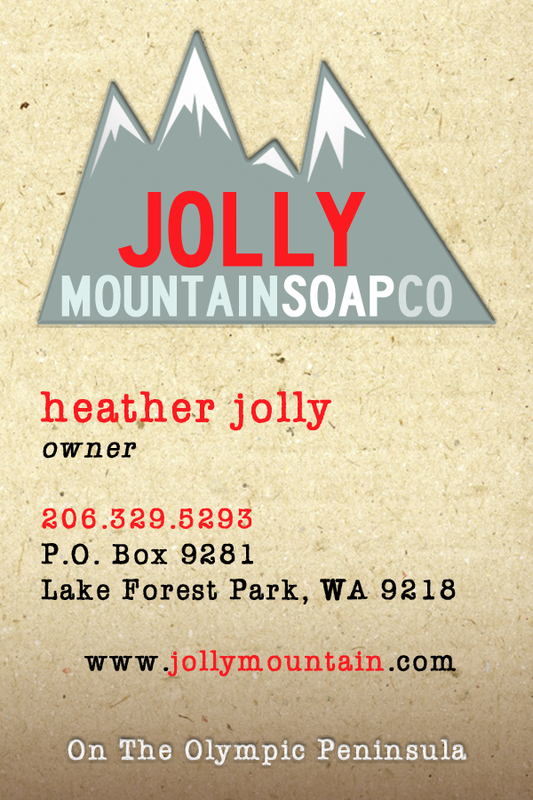 After making some minor changes to the designs I had sent, she sent me back an excited e-mail of approval! And that, ladies and gentlemen, is what makes the Design Life all worthwhile—making others happy and proud to use your work! We were all really pleased with it and it’s been great getting such positive feedback from others who received the invites. Their laid-back style, featuring groomsmen in Cons! Dinner provided by the P.Terry's food truck—one of their favorite places! Their guest book—a copy of The Little Prince! I’m so glad I got to be part of their wedding in such a special way and even more excited that I got to watch them say their “I Do’s” and start their new life as man and wife! Categories: Design Life, That's Right, I Said It | Tags: friends, Graphic Design, Hey Cupcake!, Katkins, My friends are awesome, P. Terry's, Texas, The Little Prince, The Princess Bride, Three Points Ranch, wedding | Permalink. Eleven days ago, I turned 30 years old, and I’ve been celebrating ever since! I’ve had a bunch of Birthday parties over the past few days, each shared with some amazing people in my life. One of my favorites was a breakfast brunch I had last Saturday. It was a smaller gathering, but it was so treasured because I was able to spend more quality time with just a handful of people as opposed to little bits of time spent with a large group of people. 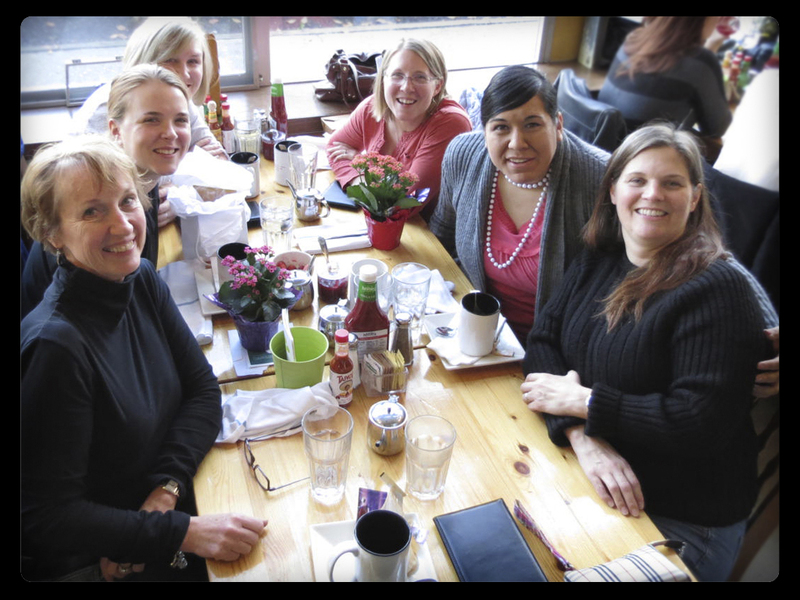 My friend Alisa planned the Birthday brunch so that we could celebrate both my Birthday, and our friend Elizabeth’s. We invited mutual friends and spent the time sharing laughs, stories, and wisdom with one another. We pick up life lessons from all kinds of sources—public lectures, movies, songs, poetry, stories, and sermons. I get some of my biggest life lessons from hearing the life experiences of others in relaxed settings and just observing the way people around me interact. 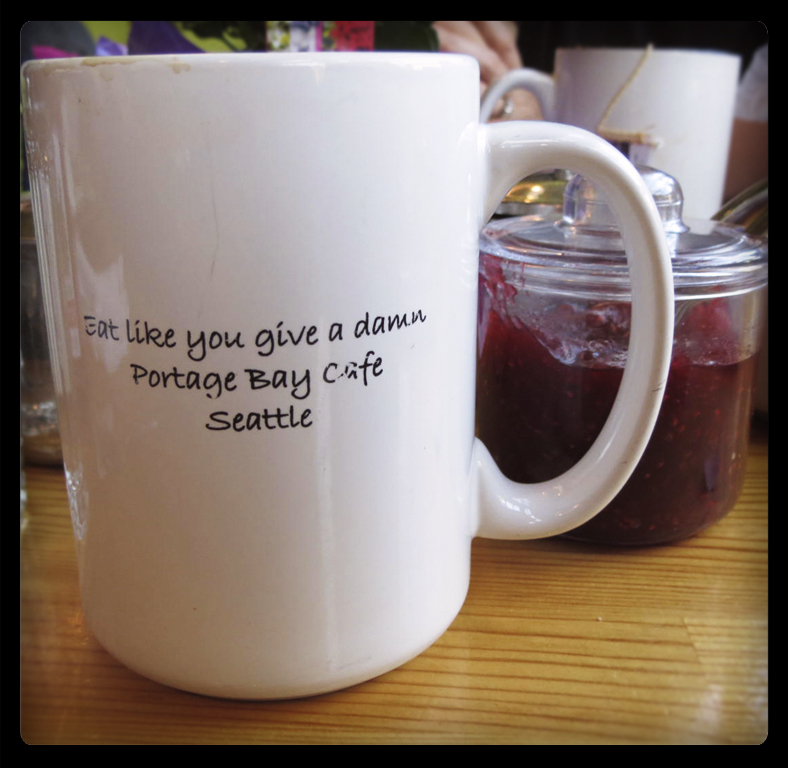 That morning, we all sat down to eat a yummy breakfast at Portage Bay Cafe and I gleaned so much wisdom from the ladies surrounding me at the table. The jokes and coffee were flowing, as were the encouraging words and presents! 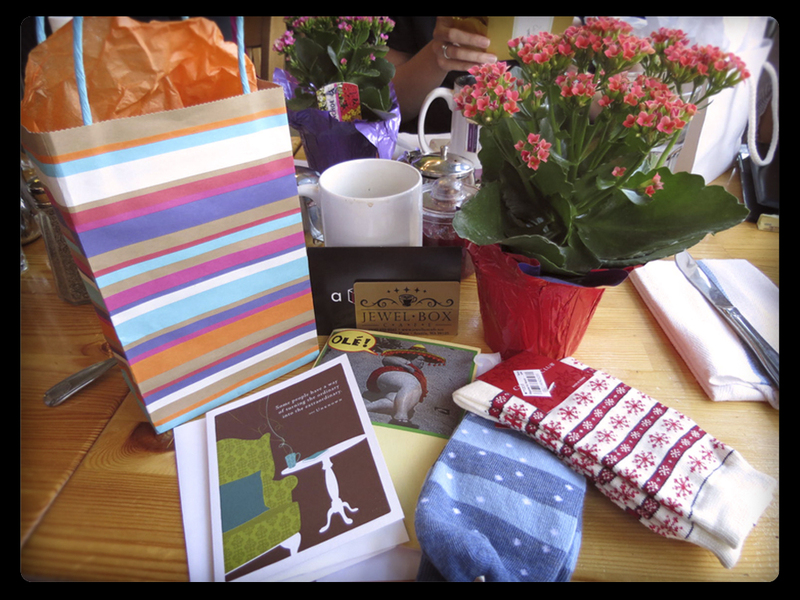 I got some sweet gifts: a pretty plant from Alisa (which she guarantees should withstand my not-so-green thumb), new fun socks, a gift card to Hogwarts (The Jewel Box Cafe/my favorite coffee shop), and my most treasured gifts—cards with encouraging words written inside! this card played a fun fiesta tune! It felt great to be surrounded by my friends as I celebrated what some would call “THE BIG THREE-OH!” Honestly, I haven’t felt “older” since I turned 21. I can see and hear certain changes in my everyday life, but my perspective on life hasn’t changed much since then. I still feel very young and very free. I still feel like I have the whole world at my feet and a drive to grab life by the reigns and hang on for the ride. The day before my birthday, I decided to do something that I hadn’t done in a while. I cancelled my plans for the evening and took some time to reflect on where I’d been in the past few years, where I wanted to be during this next year of my life, and who I wanted to become as I continue to get older. It made me come face-to-face with some realizations about myself and at the end of the night, I felt ready to take another step forward, out of who I had been for the past 10 years and into a new season of life. Life is far too short to take every thing seriously. “Finish each day and be done with it. You have done what you could. A few months ago, a guest speaker came to our church and prayed for me. While he prayed for me, he prophesied some incredibly hefty things over my life. Don’t worry, it wasn’t anything hokey or like apocalyptic—it was just empowering and challenging, and humbling. In the past, I’ve been severely skeptical about those who claim to “prophesy,” mainly because it’s gotten such a bad rep in the public eye and it’s always seemed so weird to me in general. For some reason, that night as I was being prayed over, the words were real and they had actual factual meaning to my life. That a man who didn’t know me at all spoke words that dealt with the core of my heart and life, piqued my curiosity and left me thinking,”Wait. What just happened?” I can’t promise that anything or everything he said will come to pass, but it’s definitely encouraged me to think outside of the box and dream bigger. I have a CD with his prayer recorded on it. The night before my birthday, (and what spurred on this time of reflection) I listened to it. Twice. I felt the words and remembered the moment all over again and I knew that it was time to really think about and digest what was said. When he first prayed for me, the others who had heard it came up to me and were buzzing over all the great things that were said. For the next few weeks, it was the hot topic in all my discussions with friends—”So I heard so-and-so prophesied over you and that it was pretty incredible! What did he say?! ?” So I had to relive it and cut the prayer down to the Sparks Notes version. It was still very hard for me to wrap my mind around the entire situation. It was a bit weird, since I’d never really taken time out to reflect. I felt like I had put a book on a shelf and grabbed a new one, with fresh pages to begin writing a new story. In a sense, I kind of see it as The Neverending Story. You know, the one with the luck dragon and sneezing turtle. I just hope that as the story moves along, it’s filled with light, love, laughter, and hope. 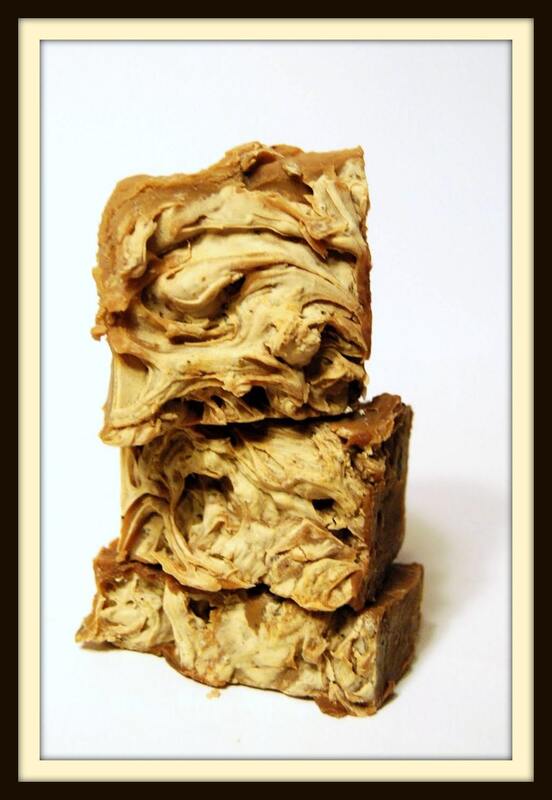 I’ve already been asked to take on some new creative projects and I’ve even started brewing some new ideas of my own. I think the only other thing that would make this next story perfect would be to have Falkor come to life and whisk me away on all those adventures. But I guess in the meantime, Jet Blue will have to do. 😉 I’m not sure how it will all play out, but it will be fun to take a look back at some point even further down the road and see the ground I’ve covered. What will be even more exciting is having all of my closest friends and my family in the story with me! I’m very excited about what lies ahead for me and I still feel like I have the whole world at my feet and a drive to grab life by the reigns and hang on for the ride! Categories: FORWARD, That's Right, I Said It | Tags: Antoine de Saint-Exupéry, birthday, But I really want a Falkor, Emerson, Henry Ford, Jane Austen, life lessons, Michael Nolan, Moving Forward, Prayer, The Neverending Story | Permalink. Maybe we were made, we were made for each other. Ahh, is it possible for the world to look this way forever? This past weekend was packed with lots of dancing, singing, and excitement! Months ago I got an e-mail from my one of favorite bands, Jack’s Mannequin, that listed tour dates for the fall/winter. When I saw that Seattle was on the list, I did a happy dance and set a reminder to buy my ticket the moment they went on sale. I had seen them down in San Antonio over the summer, but the new album hadn’t been released yet and I only got to hear a couple of songs off of it. Now I was going to get to hear MORE songs from the new Jack’s Mannequin album, PEOPLE AND THINGS, and I was beyond excited! Ever since I heard teaser clips and some pre-releases, it’s impressed me. It really reaches into a spot that few artists are willing to go—the more in-depth reality of love, relationships, and everyday life. So many songs on the top 40 charts are about puppy love, getting dumped by a cheating loser, or drinking shots of Patrón in da club. The lead singer, Andrew McMahon, along with a couple of other great writers, took a fresh approach and created an album that is full of honesty, poetry, and killer hooks. I listen to the entire album at least 2x every day, including the bonus tracks: TEN DAYS GONE, DANCING WITH A GUN, BROKEN BIRD, KEEP RISING, OUT OF IT, LOCKED DOORS, and (in my opinion, the sweetest of the bonus tracks) NO MAN IS AN ISLAND. The words that Andrew writes speak to me as I move through each day and the power jammin’ that the other band members, guitarist Bobby “Raw” Anderson, bassist Mikey “The Kid” Wagner, and drummer Jay McMillan, add in makes my heart go pitter-pat. If you’re looking for a good track to start off with, I’d recommend RELEASE ME—it’s one of my favorites! Thanks to an awesome opportunity from the Jack’s Mannequin promotion team, I was able to score an extra ticket to the show for hanging up posters all over the city! With my extra ticket to the show, my friend Alyssa was able to join me for the evening. The cool thing was that her friend, Chloe, was going to the show too, but didn’t have anyone to go with. So we all met up early at the venue and hung out before dancing the night away in the second row. The show was nothing short of amazing! 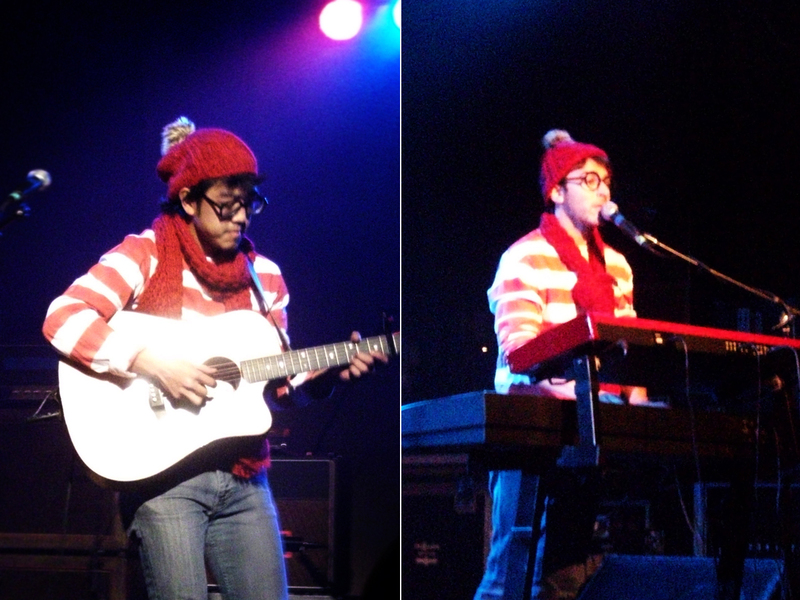 Even though it was 2 days before Halloween, both the opening act, Lady Danville, and Jack’s Mannequin came out in costume and the crowd went wild with each grand entrance. These guys may still be considered “up-and-coming,” but they’re coming up quick and they’re coming up strong! Don’t believe me? Check out their EP and their cover of KIDS by MGMT! 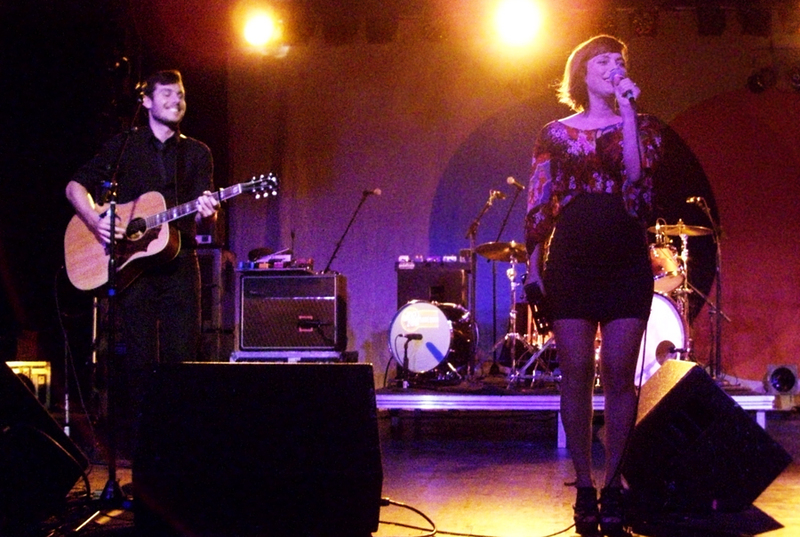 The next artist on the bill was Lenka. You should know that she was already facing some pretty intense scrutiny from the fans, since she was replacing The Academy Is… on the PEOPLE AND THINGS tour that night, but totally held her own despite it. A few weeks before the show at the Showbox SODO, The Academy Is… announced that they were breaking up. Having TAI… on the bill made this show any Jack’s fan’s dream come true. However, the breakup left a slot to be filled, and lucky for me, it was filled by an artist I know and love! I’ve loved her sound ever since I heard her songs, THE SHOW and TROUBLE IS A FRIEND. She’s indie-pop cuteness with a little bit of sass and brings such a fun attitude to the stage. It was really cool to see her dancing onstage, in wedges, 5 MONTHS PREGNANT! I mean, she seemed fearless and girl got down! It was a real treat to hear songs off of her new album, TWO, that I’d been hoping to hear: ROLL WITH THE PUNCHES and EVERYTHING’S OKAY. She brought the crowd together as we chanted, “I want my money back!” while waving our hands back and forth during her performance of THE SHOW. The only thing I didn’t enjoy about her set time was the ridiculous drunk guy in the 3rd row that kept shouting, “You’re hot!” at her. We just rolled our eyes and hoped he’d pipe down. I was waiting for her to say, “Yeah, I know, that’s why I’m 5 months pregnant!” but like a gem, she kept her cool and just ignored him as she churned out more happy-go-lucky tunes. It was Lenka’s last night on the tour, and her performance was the perfect balance of springtime and sweet ballads—I am so glad I caught her before she flew back home to prep for the baby’s arrival. 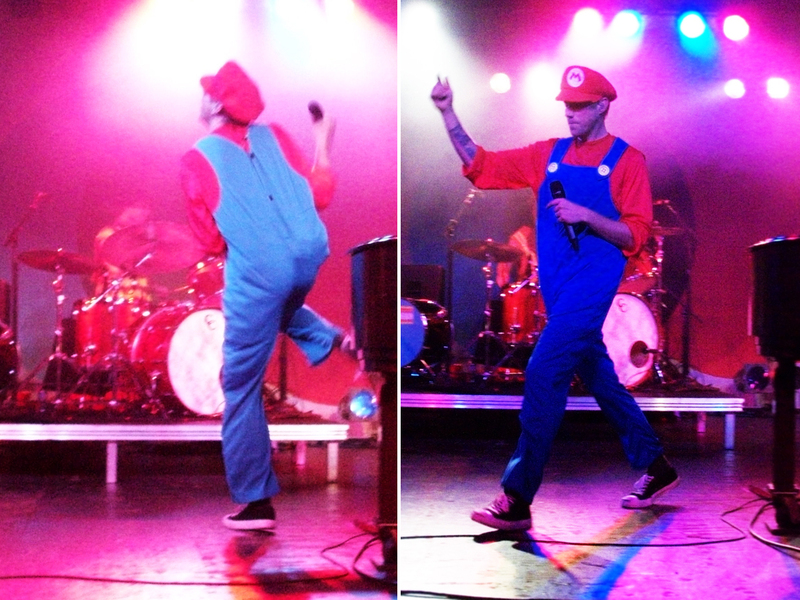 After what seemed like the longest set change in the history of live shows, Jack’s Mannequin finally came onstage, parading around in outrageously fun costumes! 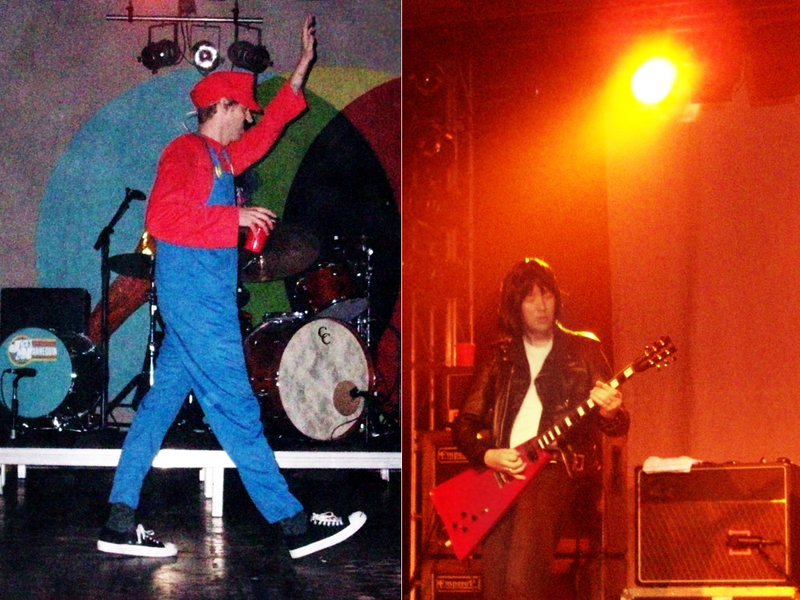 Andrew came out dressed as Mario from Super Mario Bros. Bobby came out dressed like Joey Ramone. Jay Mac came out dressed as this wolf with a super long cape, and Mikey came out dressed as a beach bum . . . in a speedo . . . with curly hair pieces glued all over his costume. I’m not gonna lie, it was hard for me to hold in the laughter every time I looked in Mikey’s general direction! They kicked off the show with their latest single, MY RACING THOUGHTS, and the crowd was ready to party and revel in the piano rock goodness happening onstage! The show moved on and they played all of my favorites, and a bunch of the new tunes! That long set change was totally worth all the sing-alongs and dancing that ensued through the evening. Singing along to Amy, I was so surreal, since I’ve had the studio version stuck in my head since before PEOPLE AND THINGS was released. I was just as enthralled with the live version as I am the studio version and now when I listen to the studio version, all I picture is their performance from Saturday. One of my favorite things about the Jack’s Mannequin live show is the banter that goes on between Andrew and Bobby during the set. They have a perfect bromance and it shines through on stage. From Andrew leaving the piano area to dance next to Bobby while he plays a screaming guitar solo, to the inside jokes they bring out between songs, they make me smile and laugh so much. RESTLESS DREAM is by and far the most beautiful track off of PEOPLE AND THINGS. On the album, it’s set up with Andrew singing and Bobby singing backup and strumming away on an acoustic guitar. Hearing it on piano with Lady Danville’s beautiful harmonies in the background made for a sweet, intimate, and breathtaking song. 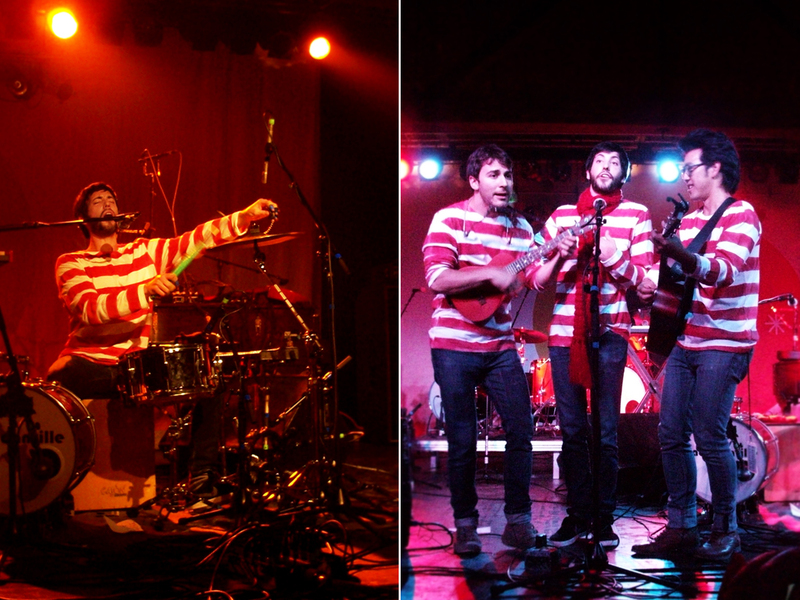 I really appreciate Andrew’s habit of bringing the other acts on the tour out onstage with him during the Jack’s set. To me, it shows a confidence in your own music and its accessibility to others, as well as a camaraderie between artists. I spent the after-show the same way I always do after a Jack’s show . . . hanging around back by their tour bus! 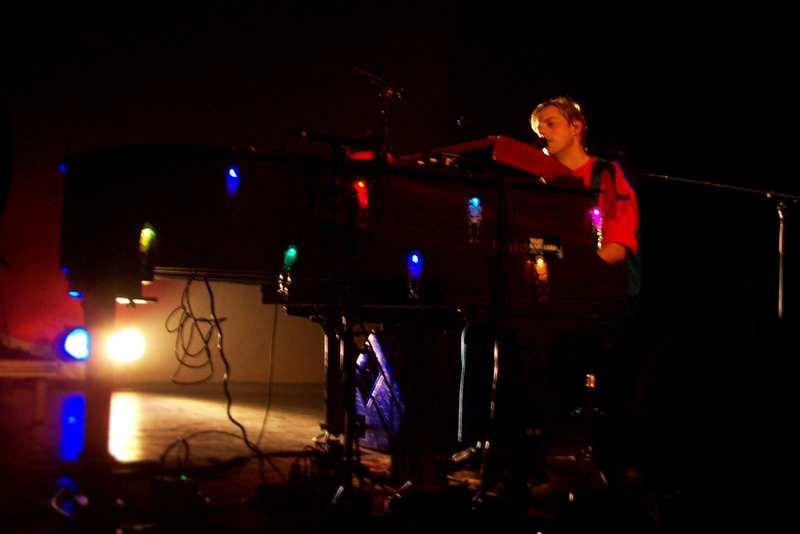 Most Jack’s Mannequin fans know that the band doesn’t come out into the venue to sign. They do all of that outside, away from the hustle of packing up the show, away from the pushy security guards, where it’s chill and more personable. As I walked outside, I kept looking for Alyssa and Chloe, since we got separated when I went to go to the JM merch booth. As I looked around, she came into view and gave me one of the best surprises ever—Bobby’s set list from the show! Bobby is one of my all-time favorite guitarists and having his setlist from the night was so rad! I waited by the side of the Jack’s tour bus with my friends and their tour manager, Arvis, came out to give us the low down on the meet & greet process—form one line and group photos are encouraged. 😉 I got to talk to Andrew for a while, he gave me a hug 3 different times during our conversation, and then I got to take a pic with him! Last Saturday night at the Showbox SODO was a perfect shade of DARK BLUE. 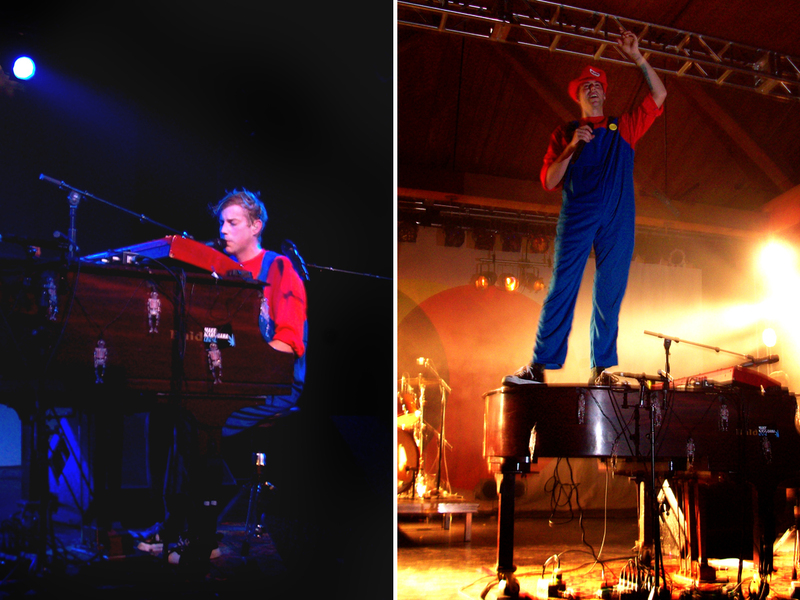 😉 I’ve said it a few times, but I’ll say it again—if you’ve never gotten to see Jack’s Mannequin in concert, GO! It’s a party and a half! 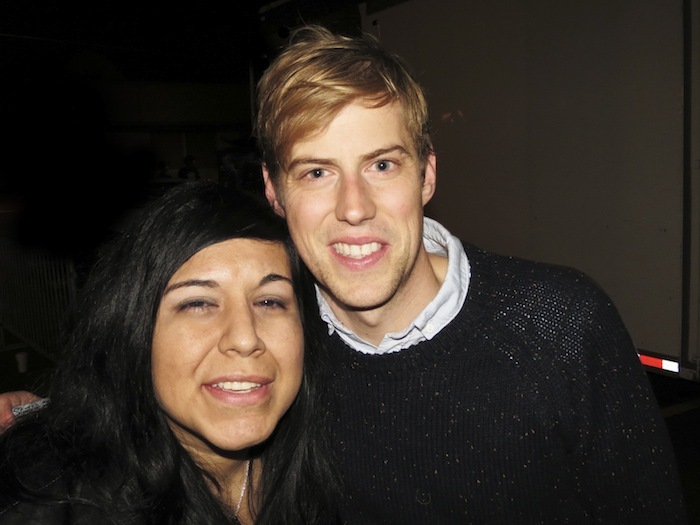 Categories: Music Discovery 101 | Tags: Andrew McMahon, Bobby "Raw" Anderson, concert, Daniel Chang, jack's mannequin, Lady Danville, Lenka, Matt Frankel, Michael Garner, Mikey "The Kid" Wagner, People and Things, review, seattle, Showbox SODO | Permalink.